Auto capture of metadata on upload helps automate the initial process of adding metadata but the on-line retailer had additional requirements to add additional metadata. They also had lots of content that did not have any IPTC data captured at the time of upload. For example, images, design guides and product specifications supplied by appliance manufacturers. To further streamline their process they are able to browse or search to a content and apply additional metadata in mass. 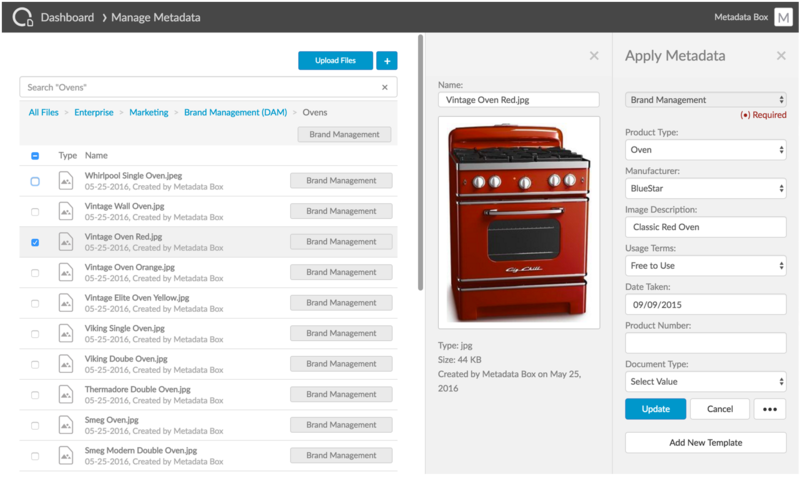 In this example, they are applying metadata to new appliance images they received from manufacturers. They apply metadata to images one at a time and in bulk. Overtime metadata can change and there is a need to update metadata in order to keep the quality of search effective. This on-line retailer is able to change metadata in mass. In this example, they are updating all Date Taken attribute on all several images that we incorrectly added to assets in the Digital Library. 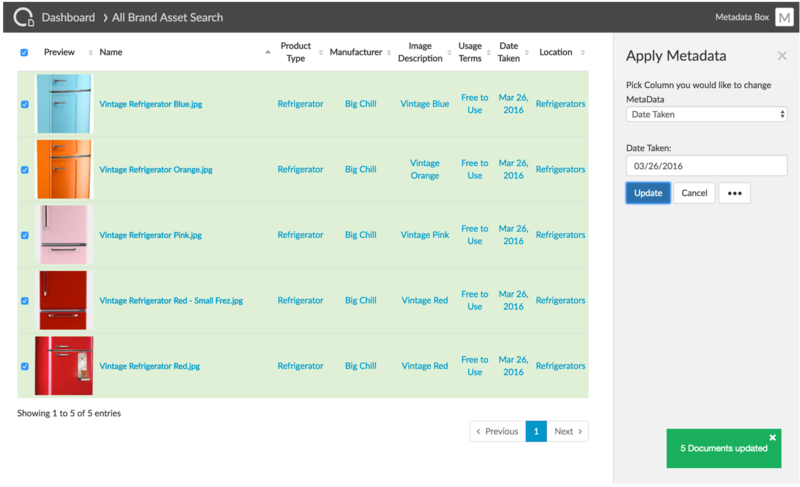 The online retailer also exports search results with all the associated metadata to Excel for review by team members. When errors are found they update the metadata directly using PowerSearch, or by importing the spreadsheet. They also found importing metadata using a spreadsheet useful to bulk assign metadata when moving content to Box during the initial setup.